Calibration gas is used both for calibrating gas monitors as well as for bump testing monitors to ensure that the sensors are reading accurately. 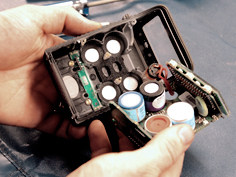 Most jurisdictions require daily bump testing of gas monitors before using them to test a confined space. When calibrating gas monitors, it’s critical that the gas concentrations of the cylinder match the programmed settings of the gas monitor. It is also important that the regulator gives the correct flow rate for the gas flow. For monitors with integral pumps and for docking systems, it’s necessary to use a demand flow regulator. For some types of corrosive gases, special regulators need to be used that are resistant to the corrosive effects of the gas being used. Common gases such as Methane, Propane, Isobutylene, Carbon Dioxide (CO2) and various O2/N2 mixes usually come in steel cylinders, and concentrations are usually warranted for 3 years. Hydrogen Sulphide (H2S) comes in an aluminum cylinder and is good for two years. 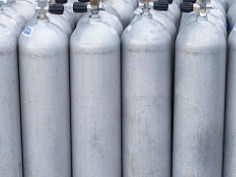 Other common mixes such as Sulfur Dioxide (SO2), Nitrogen Dioxide (NO2) and Chlorine (Cl2) also come in aluminum cylinders with warranties that may be less than one year. 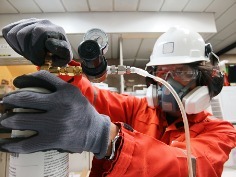 If you need help selecting the right calibration gas for your instrument, get in touch with us today.